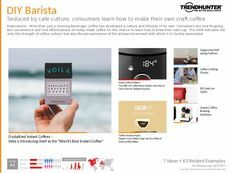 Find Better Ideas, Faster ® with a custom diy drink trend report, our PRO Dashboard and 80+ categories of premium trend reports. 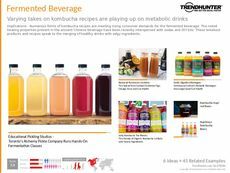 The DIY Drink Trend Report reveals the latest trends taking place in the beverage maker culture industry. 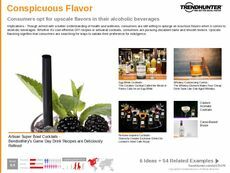 This report features recipe apps and drink-making kits that can be purchased from retail stores. 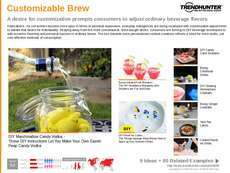 There will also be an emphasis on how consumers are crafting their own cocktails, beer and wine within their own homes. Additionally, there will be an investigation into the pre-packaging of supplements, juices and other beverages as well. 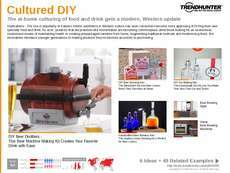 This report will be most beneficial for drink and cocktail accessory suppliers to see what consumers are seeking when purchasing tools and kits to prepare homemade drinks. 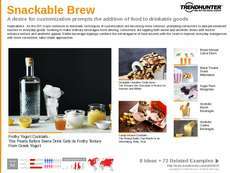 It can also benefit retail stores to see how to cater to consumers, based on which products are most desired. 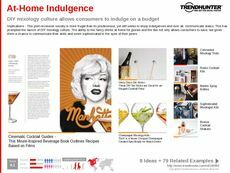 When launching a new product or creating a drink-making gift package, Trend Hunter's DIY Trend Report will ensure you have the knowledge required to meet consumer demands.